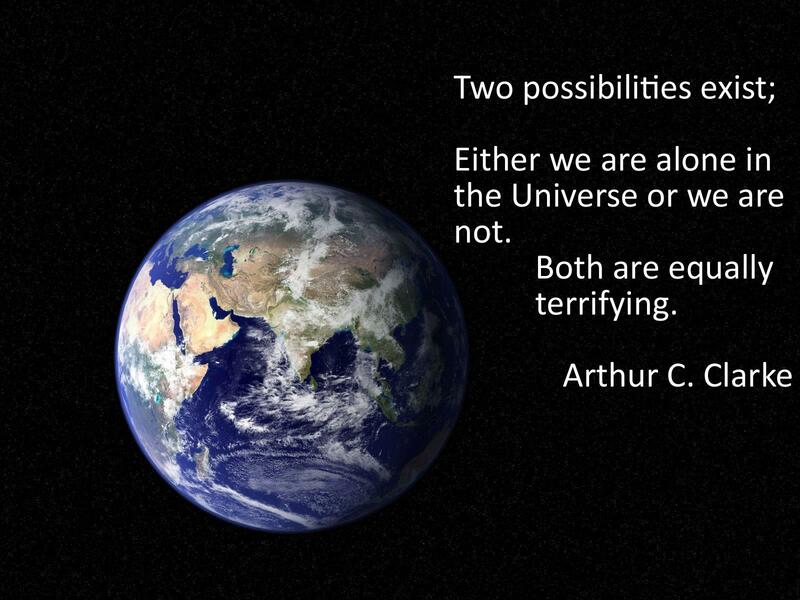 It seems that the majority of the world’s astronomers and scientists do not discount the possibility that we are not alone in the universe, even though we still have no definite, scientific evidence for it……so far. 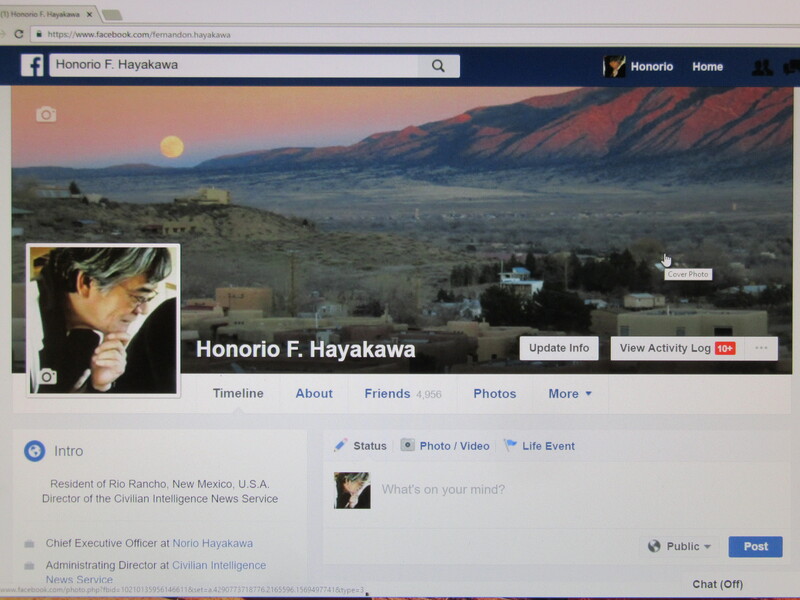 I was a director of the Civilian Intelligence Network, a loosely-knit citizens’ watchdog group on government accountability and network of researchers, investigators and intelligence gatherers whose primary focus was on the government’s so-called Black Budget Programs at locations such as the operating base at Groom Lake, Nevada (Area 51). The Civilian Intelligence Network was established in 1990. It is now a defunct group. I now support the Federation of American Scientists (FAS) which is the nation’s largest and most well-funded citizens’ watchdog group on government accountability. I have researched the UFO phenomenon since around 1961. In 1990 I organized a network called the Civilian Intelligence Network and began to conduct a thorough research on Area 51 in Nevada. I have also investigated some widespread claims about the existence of Dulce underground base in New Mexico, and have spoken in many conferences nationwide, especially in the early 1990’s. In 1995 I was invited by a radio talk show host, Art Bell, to appear on his program called “Dreamland”. 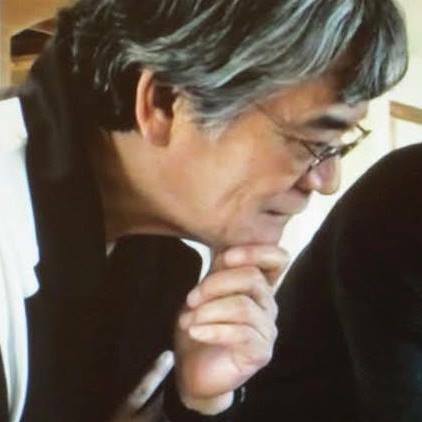 During my two-hour appearance, I brought out a theme, which was my belief then that the government already had enough technologies to simulate a fake “extraterrestrial” invasion or threat scenario in order to create a forced global unity in the future, if necessary. My present research is on why a segment of the population keeps holding on to their beliefs in “UFOs” (as physical alien spacecraft from outer space, piloted or maneuvered by physical alien entities), despite the apparent lack of globally accepted physical, irrefutable scientific (empirical) evidence. My focus is also on the study of how a segment of the population’s “beliefs in UFOs” have been manipulated (and in some cases, even created) and taken advantage of by the U.S. intelligence community and by the military in counter intelligence operations, even though they themselves may have given the impression of having been perplexed by this enigmatic phenomenon which they cannot explain and thus will not disclose to the public. 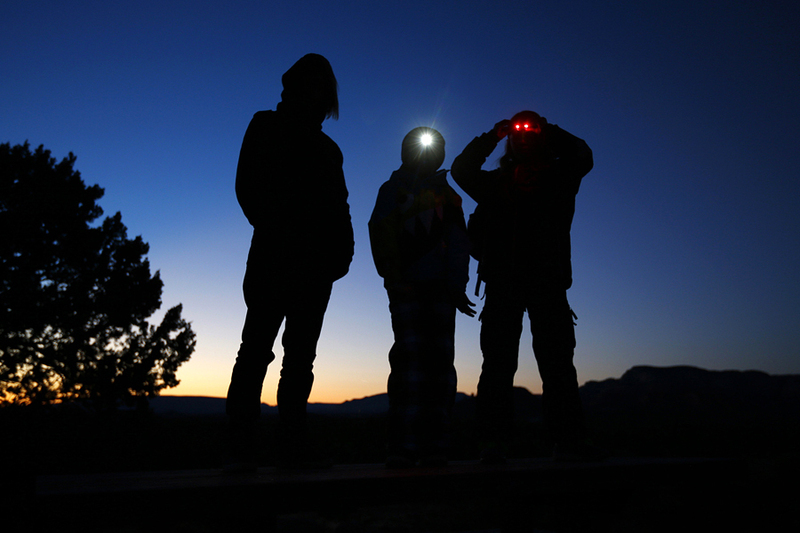 “The serious study of UFOs has been suspended for decades. The entire field of UFOs has become a toxic swamp of pseudoscience, puerile pranks, sophisticated hoaxes, conspiracy mongering, shoddy and often unethical research, new age claptrap, cheap entertainment and true belief. It is now a defunct group. I now support the Federation of American Scientists (FAS) which is the nation’s largest and most well-funded citizens’ watchdog group on government accountability. In 1995 I was invited by a radio talk show host, Art Bell, to appear on his program called “Dreamland”. During my two-hour appearance, I brought out a theme, which was my belief that the government already had enough technologies to simulate a fake “extraterrestrial” invasion or threat scenario in order to create a forced global unity in the future, if necessary. My present research is on why a segment of the population keeps holding on to their “beliefs in UFOs” (as physical alien spacecraft from outer space, piloted or maneuvered by physical alien entities), despite the apparent lack of globally accpeted physical, irrefutable scientific (empirical) evidence. I shared these thoughts on March 16, 2009 when I was a guest on the Coast to Coast radio show with George Noory. 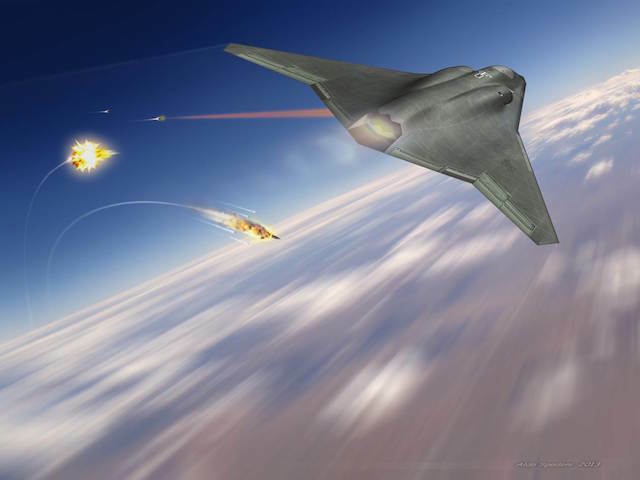 The Air Force Research Laboratory at Kirtland Air Force Base is overseeing the government’s new fighter jet demonstration project known as SHiELD, or Self-Protect High Energy Laser Demonstrator. The program aims to place small-scale laser pod defense systems on older military aircraft, with the first system demonstration scheduled for 2021. To build it, the Air Force lab awarded an initial $39 million contract in late August to Northrop Grumman to create a new laser beam control system. Two more contracts will follow in the coming months, one for a laser pod that contains the system’s power, thermal management, battery and cooling technology, and another to develop the laser itself, said SHiELD program manager Richard Bagnell. 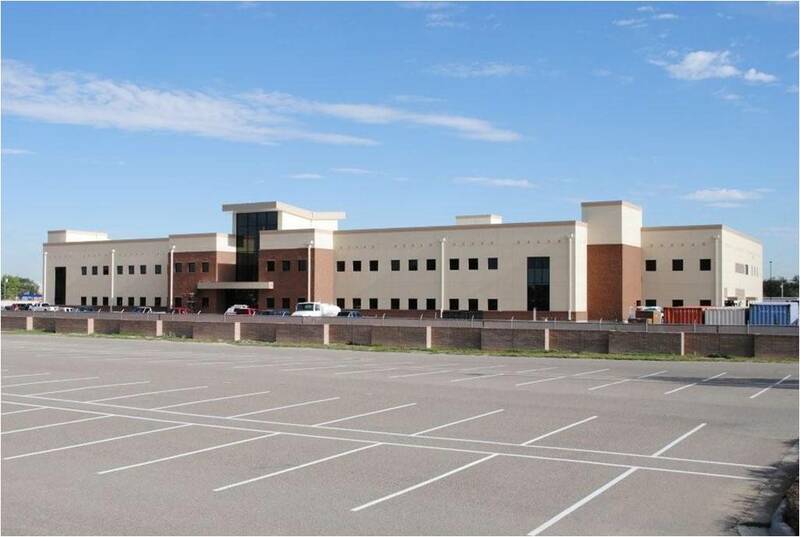 Northrop will manage the beam control research and development at a division in Redondo Beach, Calif., and at the AFRL’s directed-energy directorate in Albuquerque. (Click above for enlargement…..the light blue spot in the above map is Groom Lake – Area 51. Updated information on the planned Air Force’s big land grab of Alamo Road and the surrounding Desert National Wildlife Refuge (i.e., a large portion of land southeast of Area 51). There will be a public meeting on October 20 in North Las Vegas. 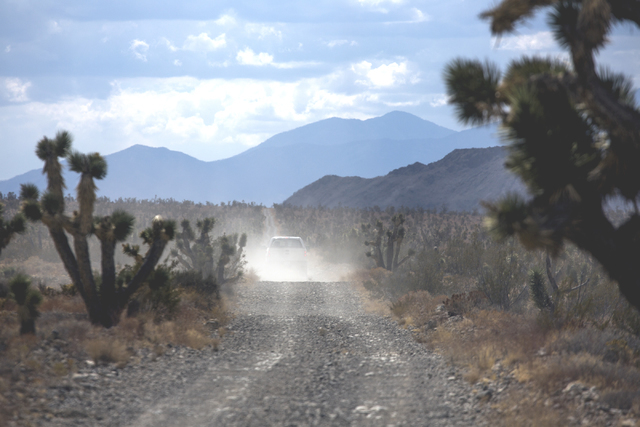 With public meetings set to start this week, officials at Desert National Wildlife Refuge say they still don’t fully understand the Air Force’s plan to turn the heart of their preserve into a training area. Refuge manager Amy Sprunger and her boss, Christy Smith, worry that the proposal will disrupt bighorn sheep and other wildlife in the area and cut off public access to some of the most popular backcountry destinations. But they said it’s hard for them to evaluate the plan because there is so much uncertainty about it. “We really don’t know. It’s uncomfortable,” Sprunger said. 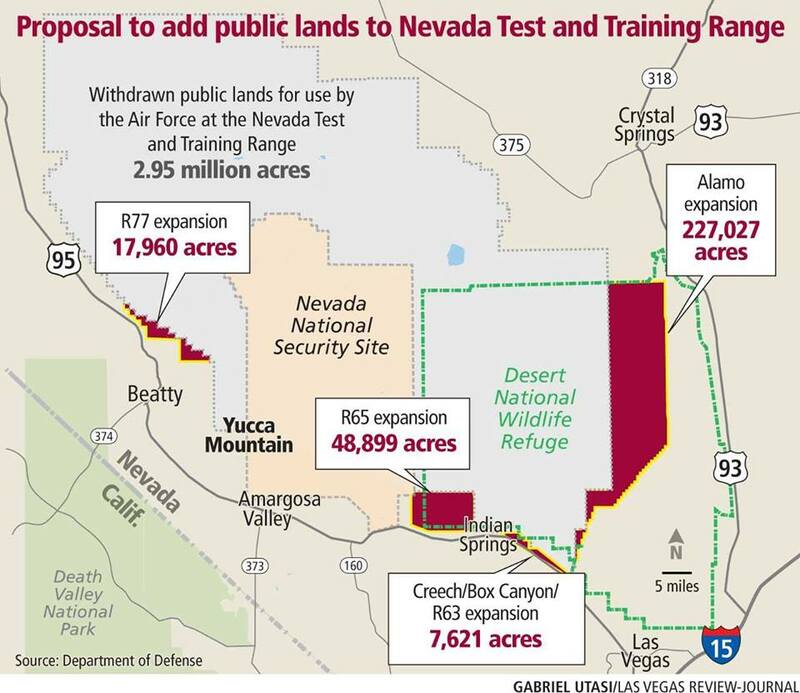 In late August, the Defense Department unveiled plans to add 301,507 acres to the Nevada Test and Training Range near Indian Springs, a restricted military proving ground that already covers more than 2.9 million acres in Clark, Lincoln and Nye counties. 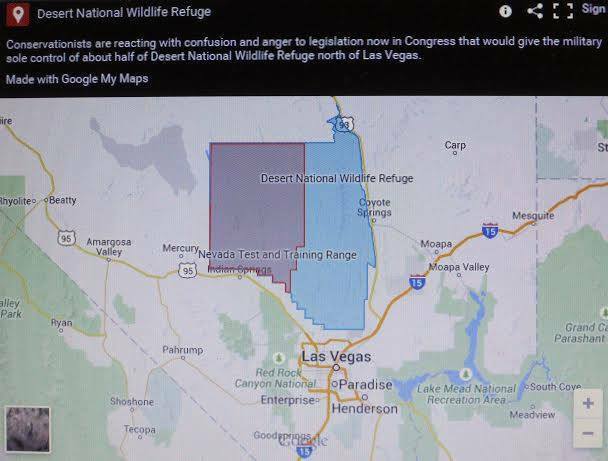 Roughly 278,000 acres of the range expansion would be carved from the federal wildlife refuge 30 miles northwest of Las Vegas, which has seen about half its area come under military control since World War II. The proposed action also could renew — perhaps indefinitely — the military’s hold on land previously withdrawn from public use for the test range, an annexation currently set to expire in 2021. Refuge could lose land to Air Force expansion. Air Force officials will hold five scoping meetings this month — Wednesday in Beatty; Thursday in Tonopah; Oct. 18 in Caliente; Oct. 19 in Alamo; and Oct. 20 in North Las Vegas — to gather public input on the plan. Congress will have final say over the range expansion, but no vote is expected until 2018 or later.